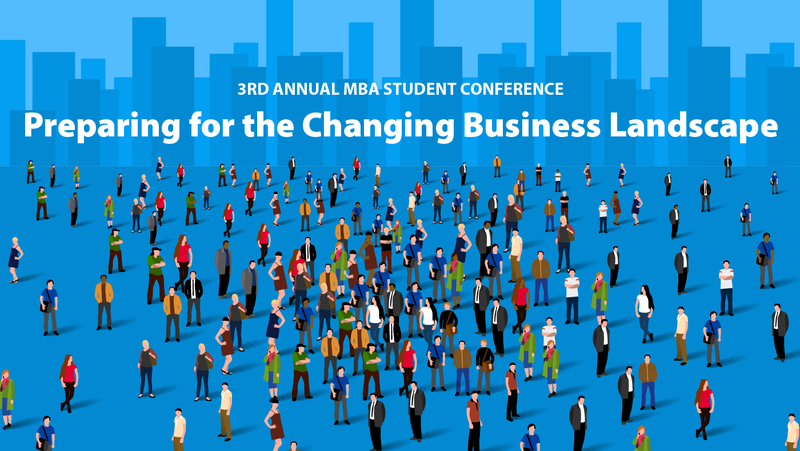 The MBA Student Association of the University of Delaware’s Alfred Lerner College of Business and Economics will host its third annual conference “Preparing for the Changing Business Landscape” on Feb. 14 from 8:00 a.m. to 4:00 p.m. in the Gore Recital Hall in the Roselle Center for Arts. Registration is now open. There is no cost to attend the event. Keynote speaker Patrick Harker, President and CEO of the Federal Reserve Bank of Philadelphia, will discuss how to navigate and deal with change in the industry. The day’s events include panel discussions and workshops covering topics such as adapting to change in the business landscape, women in business, effective leadership strategies, navigating the changing job market and making sense of change. Additional speakers include: Alfred Atanda, pediatric orthopedic surgeon at the Alfred I DuPont Hospital for Children; Bob Deutsch, chairman of the J.P. Morgan Exchange Traded Funds Board; Kevin Bannerton, partner of Total Bank Solutions, LLC; Carrie Leishman, president and CEO of the Delaware Restaurant Association, Lerner College’s Kyle Emich, assistant professor of management, and Jill Pante, director of the career service center; and Echo Wang, producer, Planet Money Podcast.